Many learners of Commercial or Business English find it frustrating and limiting that the informative background of the basic business concepts is often missing in their courses. They have some knowledge of Betriebswirtschaftslehre or Handelslehre in German but would not know how to convey these ideas in English. And above all, they do not know how the British and American systems work. Advanced learners of Commercial or Business English; employees (with a sound knowledge of English) in companies doing business with companies in the U.K. and bzw. or the USA; foreign language correspondents; trainee translators; students and teachers of Business Administration, Economics and bzw. 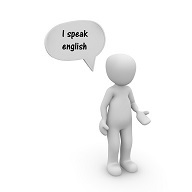 or English; advanced learners of English with a particular interest in the subject et al.